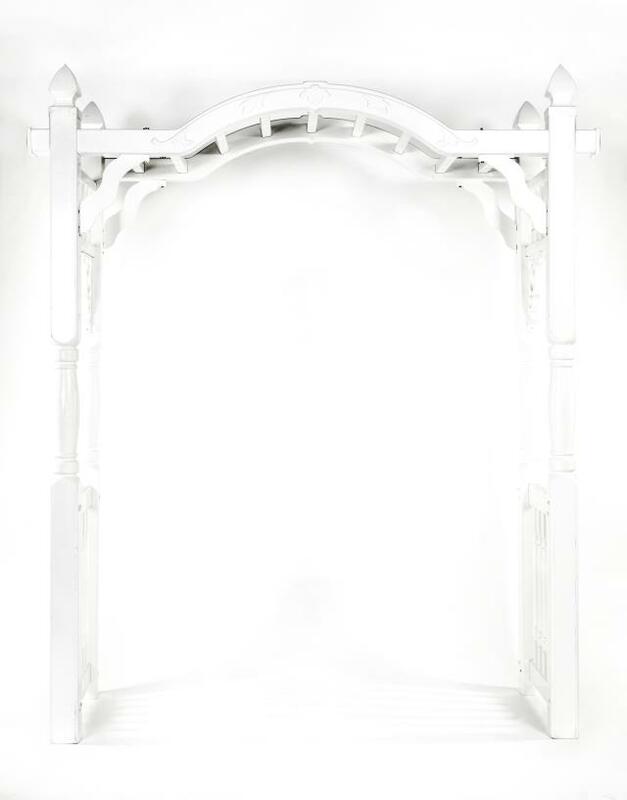 Large white PVC arch is perfect for weddings or large enough to fit over a small table. Unit is 7' wide x 32" deep x 8' high. Inside width is 65". * Please call us with any questions you may have about our arch white pvc large rentals/sales in State College, serving Central Pennsylvania.